First published: Saint Peterburg, «Azbuka-Classica» Publishing, 2010, 10000 copies. In the beginning there was a word, and the word was “USSR”. This word was sold – just like a basket of apples. And then it started bringing profit. But how can one profit from building a very expensive cross between projects like Silicon Valley, Hogwarts and Boulder Dam? What is the benefit of alternative Internet, alternative transportation, an alternative political party at power – and creation of an alternative reality? And the price to pay will be huge, too. 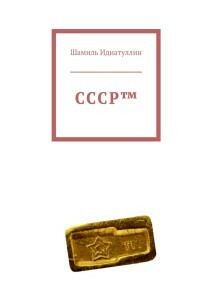 Galiaqbar (Alik) Kamalov, an ambitious graduate of the Law Faculty of Moscow University with samurai’s attitude, begins to work in a state corporation, which bought exclusive rights to the “USSR” brand. 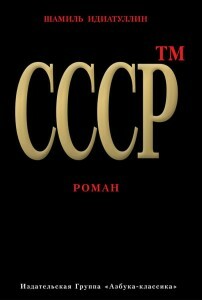 He starts to help the corporation charge retail and small businesses royalties for brand usage, then becomes the right hand of Maxim Rychev, curator of the Federal Free Economic Zone in a Middle-Siberian project called “USSR”. The purpose of the project is to build in a remote wasteland a high-tech cluster to make semi-fantastic products like wheel-less military vehicles, electric cars, next-generation communicators, to create jobs for the population of depressed Siberian areas, as well as to develop production, infrastructure and social technologies. As a result, the head of the corporation wants to gain popularity and become the new President of Russia. However, he becomes President without the help of the Project USSR, which he hands to Rychev. Kamalov hand-picks honest dreamers for the project, suppresses any stalks of corruption and builds a team including, among others, a former businessman Sergei Kuznetsov. Alik has to face two bandits sent from the neighboring regions to check the Union’s strength. Both of them accidentally get killed (most of the characters are unaware that it’s Kamalov’s fault).The tech-town is built, it released its first products. Kamalov strongly quarrels with and almost leaves his pregnant wife who hid some important personal circumstances. In a state close to madness he delivers blistering insults to people around him. Having regained control, he resigns in shame, hardly avoids intimacy with a beautiful female coworker who has a crush on him and becomes a victim of kidnapping: a criminal gang comes in town to investigate the disappearance of their comrades. Alik fights them in a speeding car, miraculously survives a crash. Then Kamalov spends two days wandering in the frozen taiga, about to die from cold or predators’ attack – and almost dies when he sees Kuznetsov, who seems to have found him, only to turn around and leave. Meanwhile, Rychev incurs displeasure of the Kremlin (restrained so far) because of marketing differences. The problem is alleviated after a triumphant start of sales of smartphones and electric vehicles in the Siberian regions. But Moscow annoyance grows stronger at independence and popularity of the «USSR» that uses innovative methods of marketing and recruits loyal audience. Representatives of the Union in Irkutsk start forming a political party in support of the project. Rychev receives a final warning from Kremlin, but he acts defiantly. Kamalov, who managed to survive his ordeal yet, refuses to return to the executive chair after treatment, preferring to give the privy council, to raise his newborn child, to work as a janitor and to educate bright kids in the school of the USSR. Kuznetsov actually becomes the chief officer of the Union. Moscow stops funding the project, but temporarily backs down, having realized that the Union is braced for a scandalous conflict. Union employees are ready to strike due to financial problems. It turns out that Sergei Kuznetsov was a businessman who lost his business in a lawsuit after he failed to pay royalties for the “USSR” brand. Thus the project is headed by a man who must passionately hate this project and probably wants to ruin it. Kamalov finds a sly way to deprive Kuznetsov of his powers, but then Alik breaks down and gets into a fist-fight that ends in a draw. Kuznetsov escapes from the Union, gets arrested in the death of the two bandits, but acts courageously and refuses to testify. The Union is administratively attacked from all directions, meeting most of the challenges with witty countermeasures. The town administration neutralizes discontent among the workers and prepares to fight back. But it turns out that resistance is impossible: the town is built in a wrong place and will soon sink underground. Rychev agrees to honorable terms of surrender. The Union evacuates. Kamalov with his family and a group of determined comrades decide to stay. Kuznetsov, having finally regained his freedom with the help of Rychev and Kamalov, gets out of jail and goes to road-blocked Union – to face Kamalov in a fist-fight once again and to try to come up with a new version of brighter future for all. 2006 - 2016 © Shamil Idiatullin. All rights reserved.